Oh oh ... no entry since Labour Day. This blog is dedicated to Jenny Pedigo of Sew Kind of Wonderful. She gave me a few digs about my blog not being updated when I saw her at market. Still took me a while, but here is my latest. I purchased a new Drunkard's Path die for my AccuCut Studio machine. 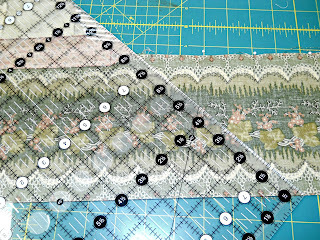 I have always loved this block but hated all the cutting ... takes forever, and ever. Once the die arrived, I couldn't wait to start something. We (The Quilting Bee) had just received a new civil war line from Moda called Metropolitan Fair. Love it! Civil war fabrics are my all time favourite but I love lots of other fabrics too. This machine takes all the work of cutting completely away, my gosh ... I had so many pieces in so little time, it was amazing. I know a lot of people are afraid of sewing curves but it is really quite easy. 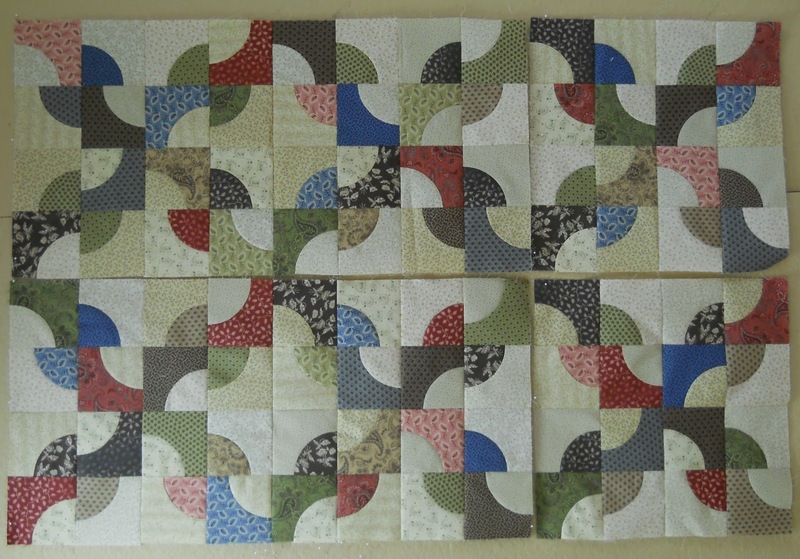 I do these blocks without using pins. This method works well when sewing any of the Sew Kind of Wonderful blocks (Quick Curve Ruler). Below is the video I learned from. It features Eliza Wilson from Eliza's Backporch. 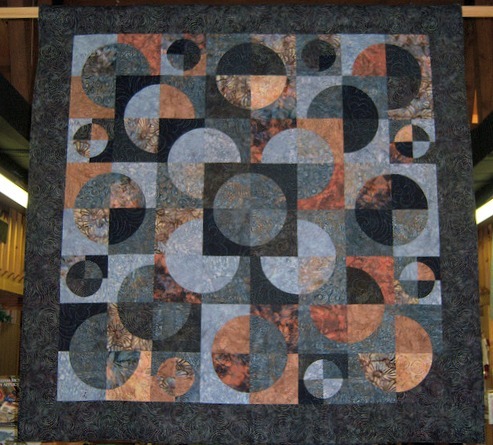 She is amazing and I have made quite a few quilts using her designs. This is one of Eliza's designs that I made called "Earl Grey". It is pictured here hanging in our store (previous location). It is made entirely of drunkard's path blocks and I used no pins until putting the rows together. My design wall. Once I got on a roll, these four inch blocks sewed up sew quickly. I had chains ten feet long. Mitred borders were called for since it was a border print. 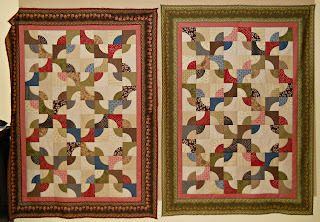 I had so many blocks I ended up with two lap quilts (Christmas presents) and enough to get a good start on another. 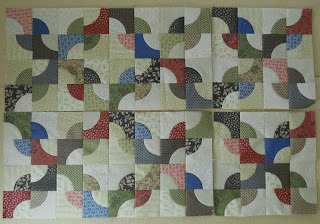 Hopefully, I can get these babies quilted this week. The Quilting Bee will be offering a free class to learn how to sew the drunkard's path block without pins provided you purchase fabric to make a quilt. We will also cut your fabric for you using our die cut machine.